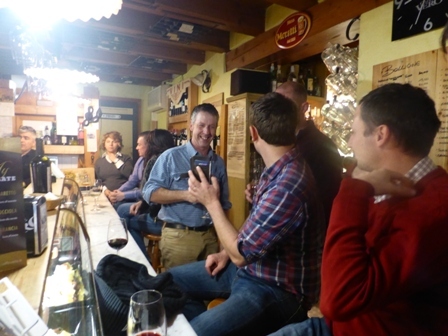 This week's Journal features a '24 hour' visit to Italy. 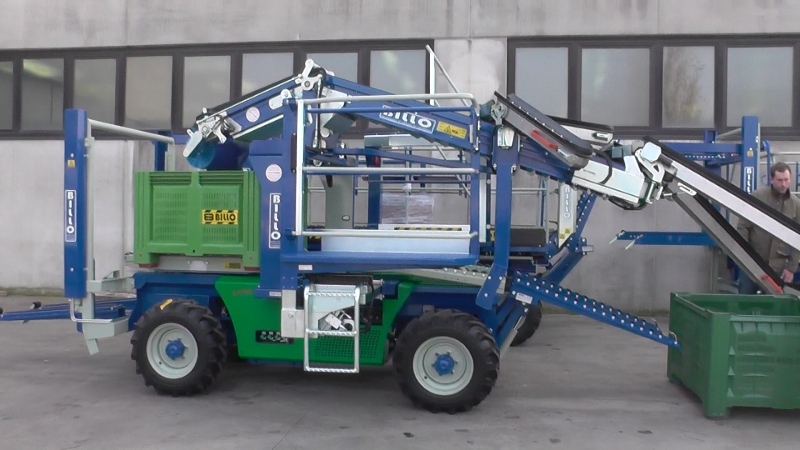 The objective, to look at a new motorised picking platform. A future Journal will cover the subject in greater detail, but for now, with insufficient time I'll take a more relaxed overview of our 24 hours in the Italian countryside around Padova. 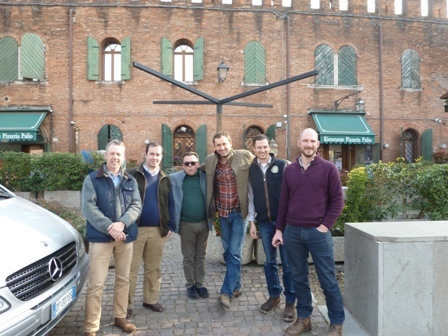 An early start; leaving home at 4.45am for Gatwick Airport; arriving at 6am and meeting up with my 'young friends' - Chris Baker of Bourne Engineering, who organised the visit to the manufacturer BILLO factory at Merlara near Padova in Italy, growers Russell Graydon, Paul Smith, Charlie Dunn, Paul Hamlyn & The EAM. 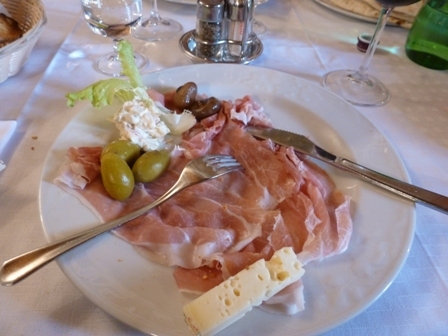 Montagnana, as well as being a city of art, is also renowned for its traditional products, especially the local ham. The "sweet" ham of Montagnana is produced using ancient rural traditions of processing and curing, with results of a very high reputation that has been appreciated by the Doges of Venice since 1400. 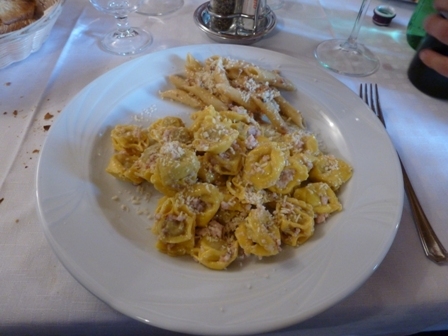 Below: left; delicious Prosciutto Veneto starter - and - right; 'tasty' Tortellini main course! 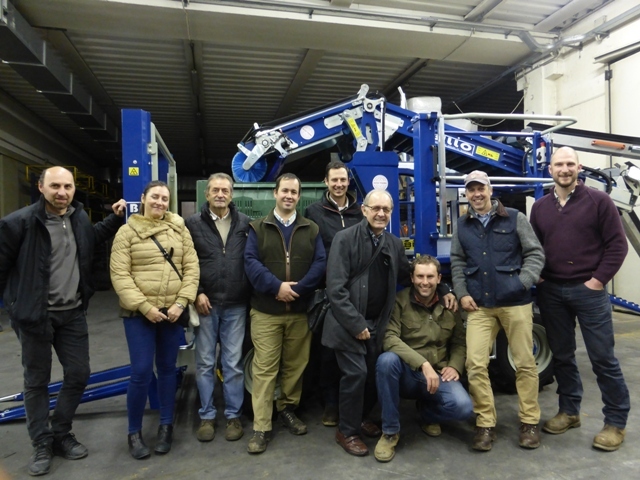 After lunch and we arrive at The Billo Factory; a warm welcome from Giorgia Billo and Melotto Lorenzo and a quick look at the latest Billo picking platform. 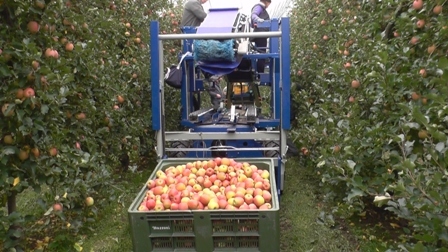 With a fair drive from the factory ahead, we set off again to see the Prototype Billo picking platform at work in a Pink Lady orchard. 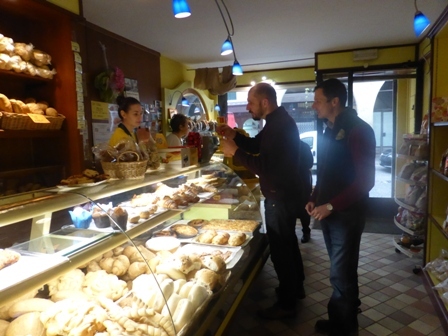 Giorgia is the daughter of Enrico Billo 'founder & owner' of BILLO; she fulfills the administrative role and is clearly 'Papa's right hand man (well woman) - Melotto is Technical Officer for BILLO. 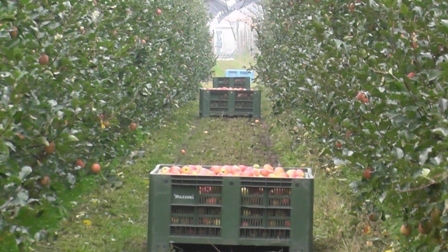 In the orchard we spend about an hour watching, asking questions, taking pictures and video while two pickers work on the platform. 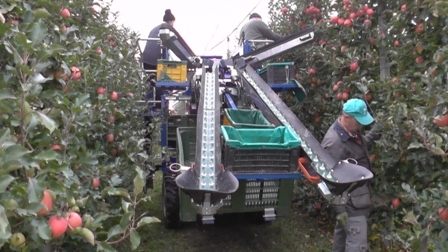 This is very much a demonstration rather than a picking operation at commercial speed, but it gives us all a valuable opportunity to observe and discuss the 'finer points' of how we think the picking platform should be utilized to maximise the capability. 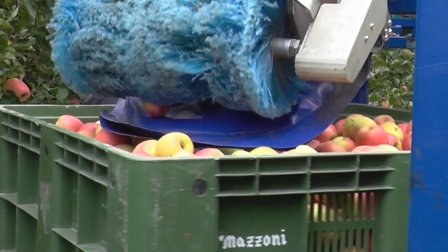 The machine is capable of picking up an empty bin, moving it into the 'belly' of the machine before filling from the central conveyor; once full, the bin is downloaded from the back of the platform into the row behind. Back at the factory, we pose for a photo with Walter behind the camera! 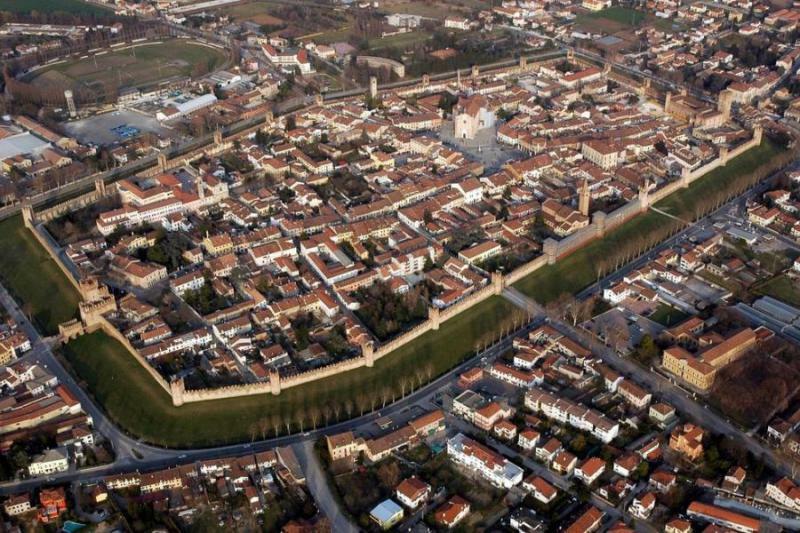 Below: the Montagnana City wall built in the 1300's is one of the best preserved examples of medieval walls in Europe. 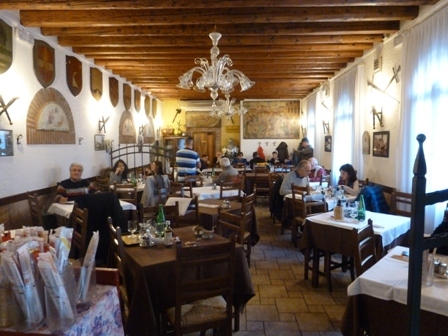 Our hotel; Set in the medieval town of Montagnana, near the Euganean Hills, Aldo Moro is a family-run hotel offering free parking and large gardens where meals are served during summer. 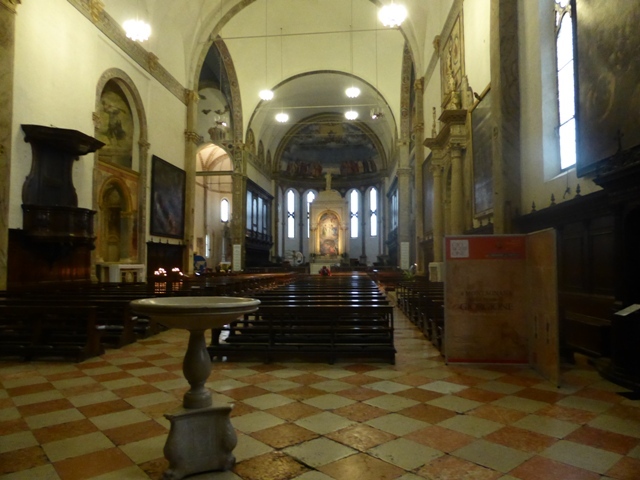 For more information about this historic City; click on: Montagnana built on the site of an ancient prehistoric settlement dating from the Neolithic and Bronze Ages. Later, the Romans made it a "castrum" fortified to defend the bridge over the Adige River, which was a major meeting point of the famous 'Via Emilia Altinate' that linked Modena and Altino.